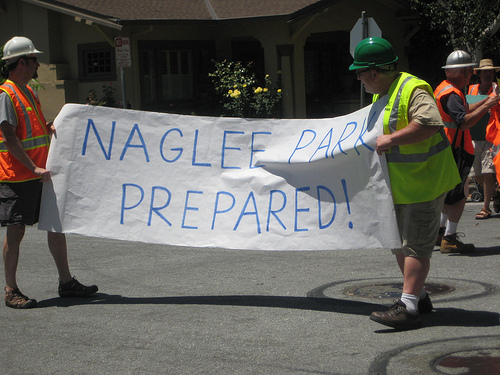 Naglee Park Prepared (NPP) is a group effort to make sure our neighborhood is prepared for a disaster, such as an earthquake. This group needs a new chairperson. 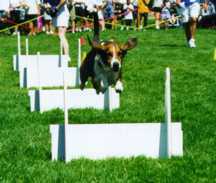 If you can volunteer, please contact president@nagleepark.org. The NPP steering committee recruits and tracks block monitors for each block in our neighborhood, organizes training sessions for block monitors, and solicits disaster-prepardness equipment. NPP has hosted several block monitor training sessions about personal preparedness in a major disaster, the importance of knowing your block neighbors, and the duties of a block monitor in the Naglee Park Prepared! plan. At one session, a representative from PG&E demonstrated how and when to turn off gas meters. If you don’t see your street on this list that means you have at least one block monitor. Find out who they are! Block monitor duties are to educate the block about the NPP plan prior to a disaster, and in the event of a disaster to walk the block gathering information to report back to the command center which has access to neighborhood resources and amateur ham radio operators. In the case of a major disaster folks will need to help their neighbors because it is estimated that emergency services will not be accessible for about the first three days.